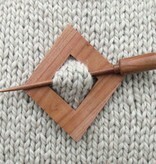 The Surina Wood Diamond Shawl Pin from Plymouth Yarn is a classic closure for shawls and open front cardigans. The natural wood coloring pairs well with both neutral and bright colors. 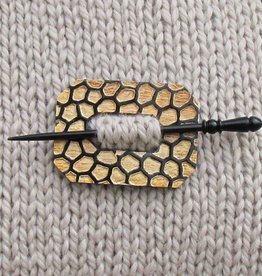 This is a great everyday shawl pin for both the knitter and crocheter. 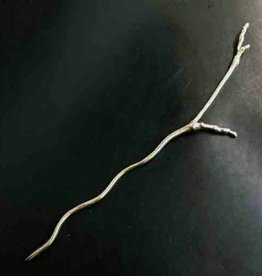 The JUL Designs Tiny Twig Lace Stick is the perfect accessory for the nature lover. Made from white brass by fair trade artisans in Indonesia. 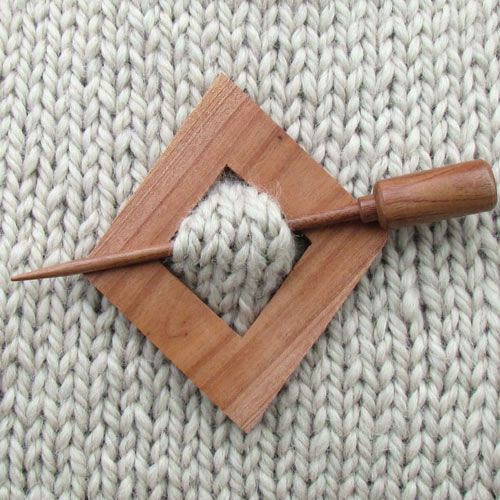 The Burnt Horn Squoval Shawl Pin offers two looks in one. The front side features a burned horn design while the back side is a classic solid black.